“The wide 2.40:1 aspect ratio allows cinematographer Janusz Kaminski great freedom in his framing of everything from the bridge in Berlin to courtroom interiors. 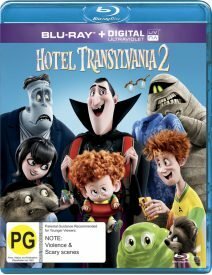 I can’t believe I’m saying this, but Hotel Transylvania 2 is an enjoyable, entertaining animated diversion from Adam Sandler, featuring some nice vocal performances and fluid, stylish animation, boasting an almost reference quality video and audio presentation, although the 3D was mildly disappointing with its shallow depth and minimal popout. “It’s all reproduced with great detail and finesse here in what must be as close to perfect as we can expect from modern films on HD media. 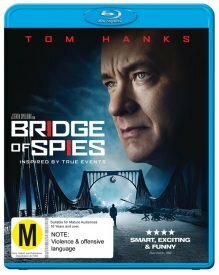 “The extras include featurettes about the real historical events and the U-2 spy plane, which will enrich the movie experience. 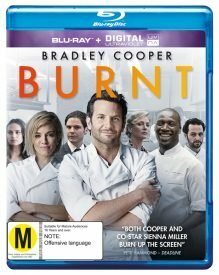 “Burnt was shot digitally on Arri Alexa XT Plus equipment and is presented in the 2.40:1 aspect ratio. As transfers of digitally shot films go, the Burnt Blu-ray is a pretty good one, with a nice level of detail throughout. “The animated sequel greets audiences with a terrific and wildly entertaining DTS-HD Master Audio soundtrack that’ll have the little monsters in the family screaming with joy. Also new are Batman: Bad Blood, The Four Warriors, Strength and Honour and Steven Wilson: 4/12.